It was a greater feat than any 30-second spot has ever achieved: skydiver Felix Baumgartner dropped from near-space (23 miles high) back to the Earth’s surface. Having achieved 8m concurrent views of the spectacle on YouTube, there is no arguing that Red Bull’s Stratos project was an astonishing leap forward in marketing, but it also delivered something far bigger than eyeballs. Stratos was not a CSR project, but is far more than a marketing campaign. While commentators have already waxed lyrical about it as the very pinnacle of content, marketing experts believe that this diminishes the scope of the achievement. James Murphy, editorial director at the Future Foundation, says Stratos shows that Red Bull isn’t solely a provider of content anymore. ‘This is the purest example of the brand as a story; the brand itself has become content,’ he explains. Murphy believes the scientific and technological pay-off of the campaign reflects a level of sophistication that conventional CSR couldn’t reach. ‘Do you want to sell sugar water for the rest of your life, or do you want to come with me and change the world?’ Steve Jobs’ pitch to John Sculley – the Pepsi-Cola CEO whom Jobs brought in to run Apple – probably wouldn’t wash with Red Bull founder Dietrich Mateschitz. 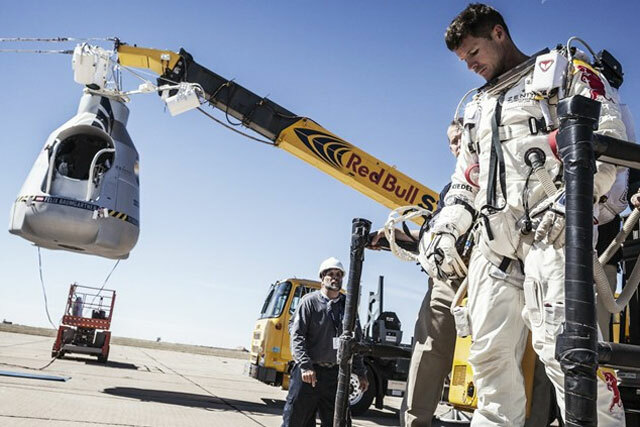 Consumers may have expressed discomfort at David Cameron’s vision of Big Society, but Red Bull Stratos raises difficult questions about marketing taking off where government funding ends. ‘Red Bull has taken science forward and no one is questioning it. Whether you agree that this will benefit NASA or not, there is no doubt that it is fuelling a passion for science,’ says Sav Evangelou, executive creative director at Kitcatt Nohr Digitas. He believes there is a huge opportunity for brands to carry this shift forward if they can share knowledge or deliver progress to society, whether it is through education or investment. Space exploration appeals to noble human interests: the desire for adventure and a belief in the power of science. James Kirkham, managing partner at Holler, says that for a certain generation Stratos has become an ‘I was there moment’, which has created ‘almost an unfair benchmark’ for marketers. While media coverage has focused on the volume of You Tube hits, the true scope of Stratos’s achievement reverberates far beyond the marketing fishbowl. In fact, Red Bull itself has blocked agencies involved in the project from talking to the press because it doesn’t want the event to be viewed as a marketing stunt. Of course, not every brand has a fearless Felix to deliver moments of greatness, but you cannot ignore the pace of change in the market. Rewind to 2008, when Honda secured reams of coverage with its live sky-diving ad on Channel 4. However, chances are you probably cannot remember the ad, and it is unlikely to grace the pages of history for delivering anything other than PR for Honda. 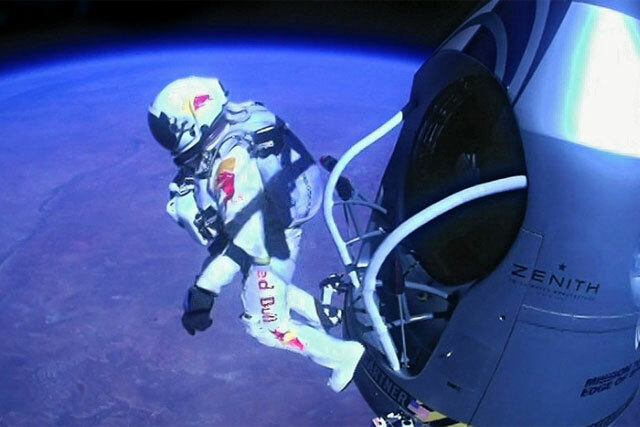 Russ Lidstone, chief executive of Havas Worldwide London, says that with Stratos, Red Bull has in effect created a school of Œextreme marketing¹. Red Bull has built credibility through its support for extreme-sports athletes, the creation of current F1 champions Red Bull Racing and through building a range of events from the ground up. In short, Red Bull could never be accused of simply badging events. The Stratos project also hints at a wider shift in marketing in the digital age: it is no longer enough to obsess over brand valuation and image. Consumers are increasingly demanding that brands prove their worth, a shift that has huge implications for marketers. Patricia McDonald, executive planning director at Glue Isobar, says that in an age of participation, brands are facing up to a fundamental shift. ‘Brands need to ask themselves what they do for people. It is bigger than marketing: from supply chain to distribution, it’s the fundamentals of how a business behaves,’ she says. The world’s greatest brands have changed consumer behaviour not just to boost their own bottom line, but to actively improve people’s lives. This is typified by Nike, which created Run London and has invested in giving people greater access to sport, in an effort to tackle the growing problem of sedentary behaviour, arguably one of the biggest challenges of our time. Lisa MacCullum Carter, managing director of Access to Sport at Nike, says: ‘Underpinning the London Olympic Games was a commitment to ‘inspire a generation’. Although elite and professional sport can inspire and encourage young people, it cannot on its own increase participation levels and access. Funding is crucial, but effective change will require unprecedented collaboration and action from governments, communities, corporations and civil society.’ Many analysts believe this collaborative approach will underpin the future of marketing for good.